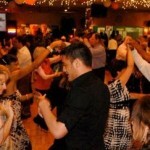 We offer a full schedule of Group Classes and Private Lessons by World Class Instructors, Social Dances and Parties several times a week, a friendly and inviting “Dance Family” of great people, Shows and Performances by World Champion Dancers, Celebrities, and Performers, as well as Pro-Am and Amateur Showcases featuring our students, Dance Competitions, Holiday Dances and Special Events, an inviting Boutique to meet all your dance needs, and a Magnificent Venue (also available for private rental for Weddings and other events), with a 60′ X 40′ full competition-size floating oak dance floor, the ambiance and elegance of a Parisian Night Club, and a full Bar and Kitchen/ snack bar. 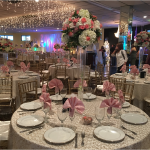 Our fabulous facility is available to rent for select private occasions. 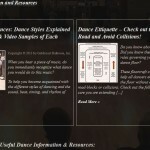 For more information, please see Rent the Ballroom, and fill out the Rental Inquiry Form found there. 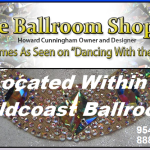 Check out our PHOTO GALLERIES and VIDEOS pages for Dancing With the Stars, and Do You Think You Can Dance performances at Goldcoast, among other performances we have hosted by World Renowned dancers, including our own World Class Pros. 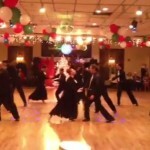 Goldcoast Ballroom is recognized as a “Go To” Dance Studio in South Florida and the U.S. 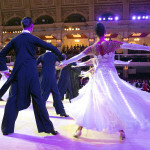 It attracts social dancers and aficionados of Ballroom, Latin, Rhythym, Hustle, Argentine Tango, Swing and most all other dances. 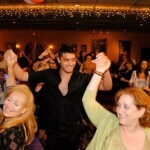 Goldcoast Ballroom helps you celebrate the Holidays and other special occasions with dance parties and entertainment. 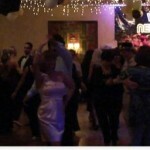 We are famous for our spectacular annual Christmas White Party, New Year’s Party, and Valentine’s Day Party, among others. 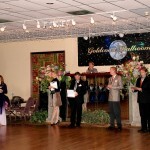 Goldcoast Ballrom offers Summer and Winter (and sometimes Spring and Fall) showcases where students perform with their professional instructors. 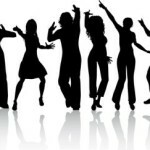 This is also an occasion for amateurs to pair up with other amateurs, or perform in our amateur Goldcoast Formation Teams, to showcase what they have perfected, in front of an appreciative audience.